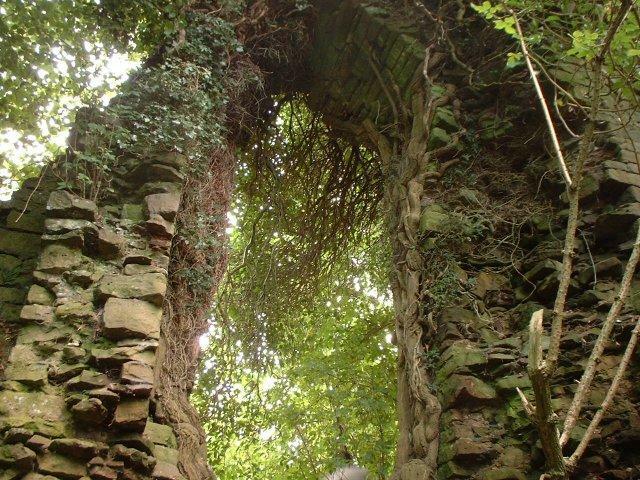 Hidden among the bushes and trees are the remains of a castle built by Roger Bigod III, earl of Norfolk, as a hunting lodge. 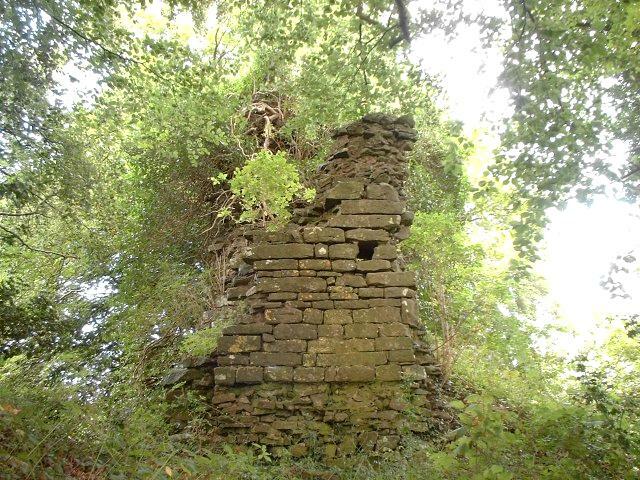 It is mentioned in 1305, as a newly built tower was probably left incomplete at his death in 1306. 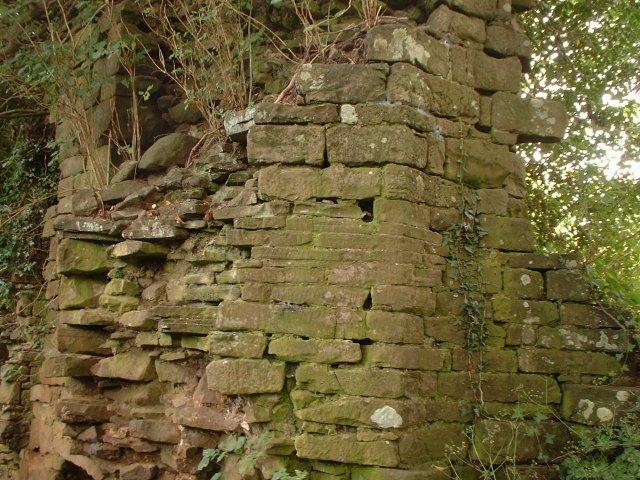 A rectangular court was surrounded by walls said to be of poor masonry, perhaps a reflection of the earl's financial difficulties. 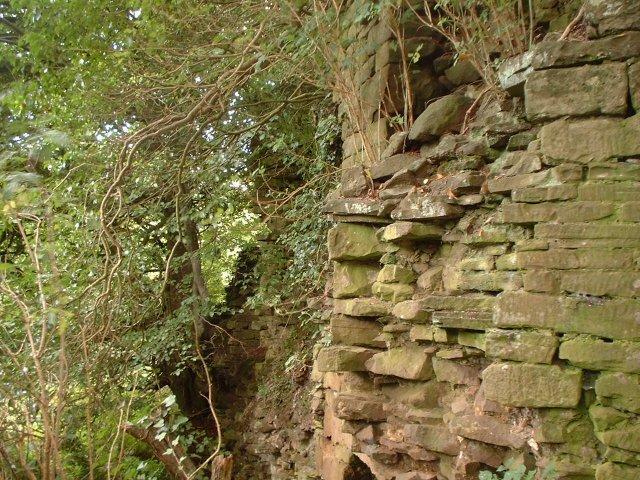 The surviving south wall (right), however, is well built. The fireplace and two window embrasures in it at the upper level, and probably served the main hall. At each southern corner are remains of towers with octagonal interiors up to 6m in diameter. The outer faces are too damaged for the external shapes to be made out. The SW tower has traces of a staircase and the SE tower has a big cess-pit beside the stub of the east curtain and a rectangular projection is set alongside the south curtain. We headed out of Usk, past the flower decked prison towards Llantrisant. Pausing at the Y junction just outside the village, we headed left, skirting the village, up the incline to Wentwood. Reaching the summit, we paused and asked a farmer's wife consent and she kindly turned off the electric fence to allow us unhindered access to Castell Troggy, yet another lost jewel within 5 miles of my home. We wandered down through the lush grass, ignored by grazing cattle, until we reached the electric fence surrounding what from the road was a clump of trees. 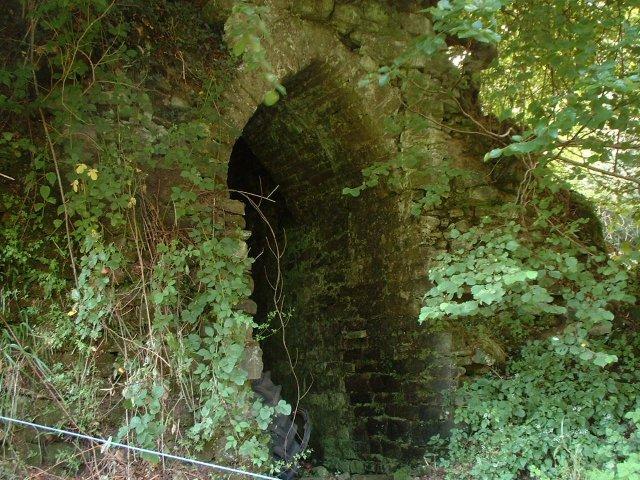 As we walked beneath the leafy cover and out of the direct sunlight, I got my first view of a well preserved section of the castle, a small arched room now used as a repository for old tractor tyres. 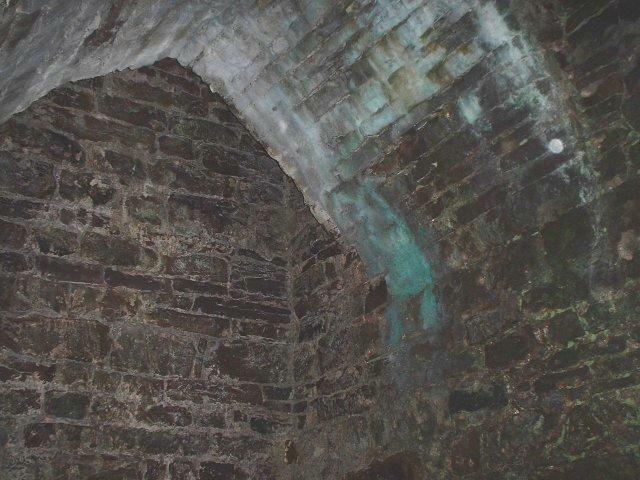 I wandered inside to find the stone roof in remarkable good repair. 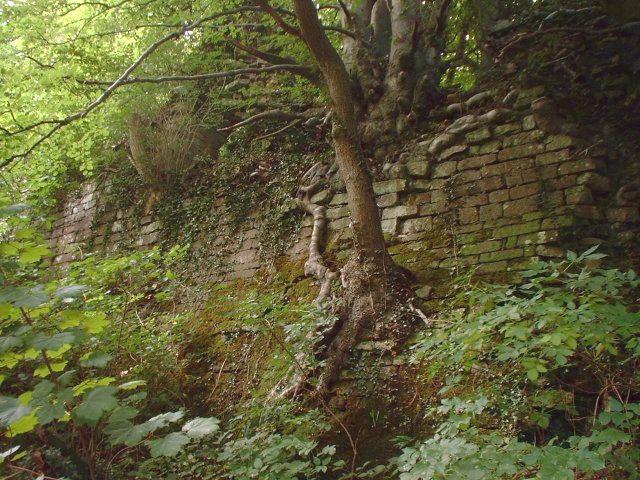 Negotiating the nettles and brambles, I found a further section of wall with the remains of a window, and here huge trees were growing out of the wall, with root balls and truncated roots hanging uselessly some 6 feet from the nutritious earth. Climbing a bank probably of long fallen walls, I came across a section of wall still showing the face blocks. I struggled around to the other side of the wall to find a view similar to that picture by Mike Salter over a decade ago. The wall is showing more signs of tree root damage, and as the failing light called a halt to more photography, I vowed to return in October/November (as advised by the farmers wife) when the vegetation has died back to examine the structure more closely and see if I can find a way to halt this sad decline.